Along with the Friday Fix, I thought I would start another feature-ette called Thirsty Thursdays where I will try to bring to you some sort of liquid refreshment review. There were some guys on another site that wanted me to do this but they never came through on their promise to send me beer. But it doesn't have to be just beer, energy and sports drinks will be fair game, too. Of course, I have reviewed some of my favorite BBC offerings in conjunction with a ride but I think I concentrate reviews here. 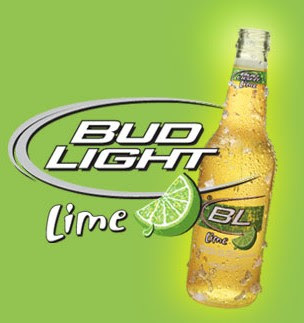 Take for example my first in this series, Bud Light Lime. I started enjoying beer with lime from the time I started college at the University of Arizona back in the mid 80s. It's funny but my father used to bring back six-packs of Tecate and Dos Equis from business trips out west and would drink these with lime but I was underage back then and did drink beer - right. Of course one of the most popular beers at the U of A, besides Coors Light, was Corona and it was there that I discovered squeezing in some line made it all the better. I guess for a while, besides what my fraternity was serving that weekend (Coors Light) when ever I was out it was Corona with Lime. Later down the road, I started putting lime in Miller MGD and Miller Light. I don't what it is, but the thought of lime in just about any other beer, except Corona or Chiuaha just never seemed appealing, but it worked for me in Miller Beer. I don't know what it is, but nothing beats an ice cold Miller on a hot day! Other beers don't give me no relief from the heat than an ice cold Miller, and forget the micros. That's after shower beer. The only exception is Corona. Recently, Miller came out with a beer called Chill, which is called a chelada-style of beer that has a hint of lime and salt. Of course I tried it because I like Miller and I like lime but I didn't like this. It didn't have that same sourness that you get with an actual lime. In fact, at times when I have Corona in the house but no limes, I will resort to lime juice. I paid a visit to the local Packy to pick up a sick pack of BBC, actually 6 bottles of BBC, sure wish I could get growlers (64 oz bottles). Then I found this Bud Light offering with lime. Naturally, I had to try it because I love everything with lime in it and it is fantastic! Almost as good as Corona, only easier! Now I wont have rotten, moldy slices of lime at the bottom of my bottles when I get around to returning them. This is the type of beer that you drink when it's ice cold and you are hot and sweaty! The lime makes it a thirst quencher. If you like Corona with lime, or like lime the way I do, then you are going to love this beer. I give this 5 out of 5 bottles of beer on the wall!